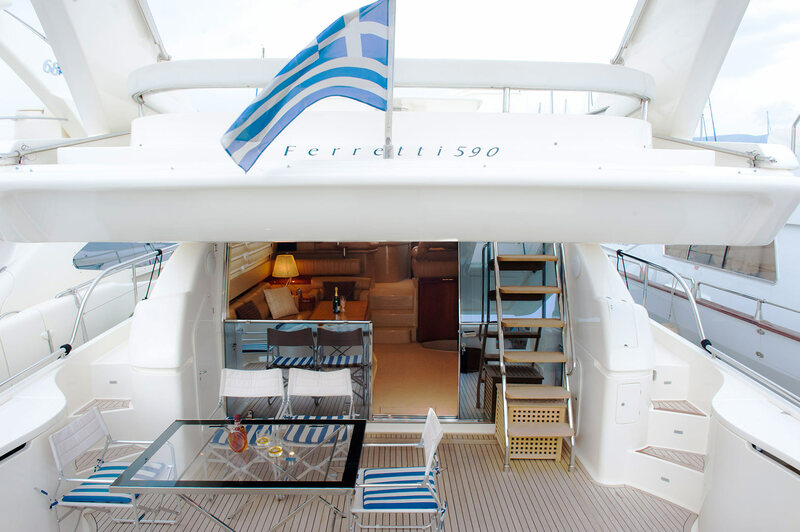 Luxury crewed charter yacht ESPERANCE III is an Italian Ferretti motor yacht, built in 2002 and measures 17.83m (58.6ft). 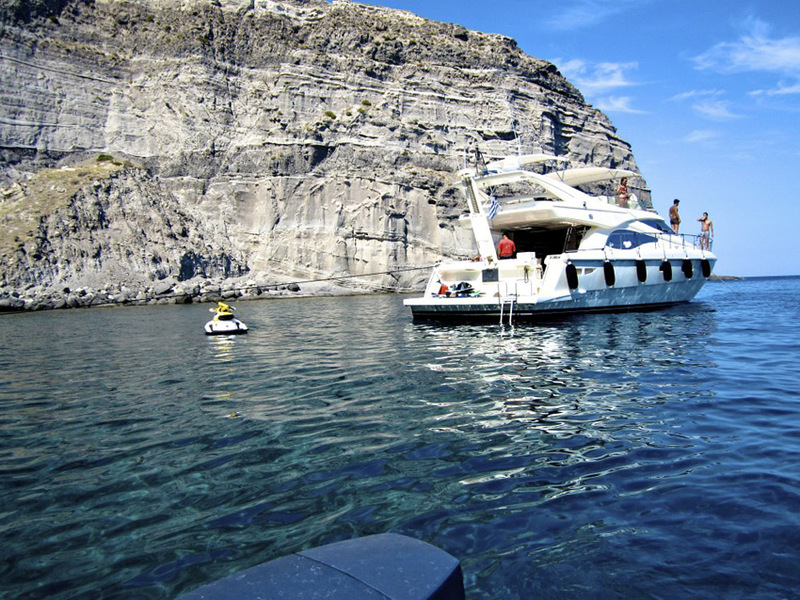 Available for yacht charters in Greece year round, the ESPERANCE III motor yacht offers accommodation for up to 6 guests, in 3 air conditioned cabins. 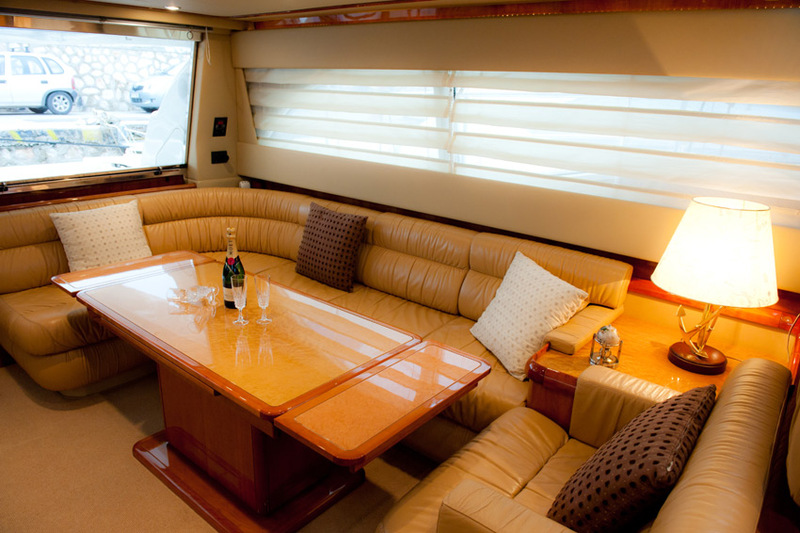 M/Y ESPERANCE III features a modern interior décor with inviting neutral tones and sumptuous furnishings. 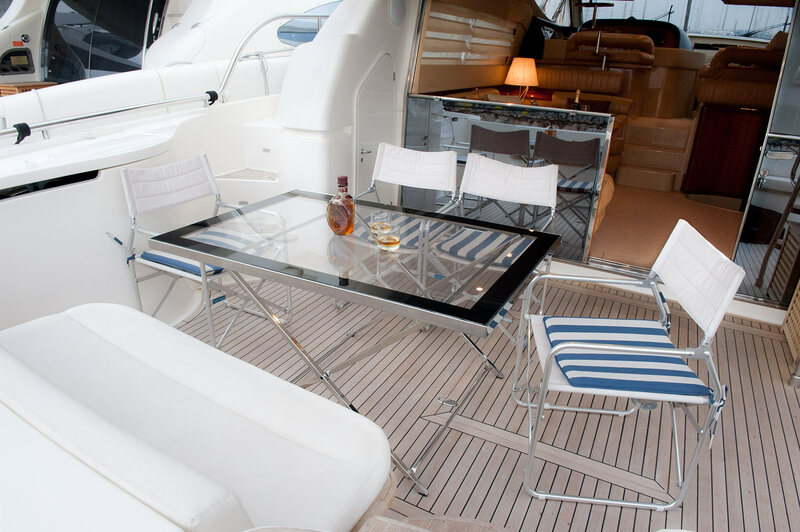 High gloss woods and leather furnishings create a relaxed contemporary ambiance. 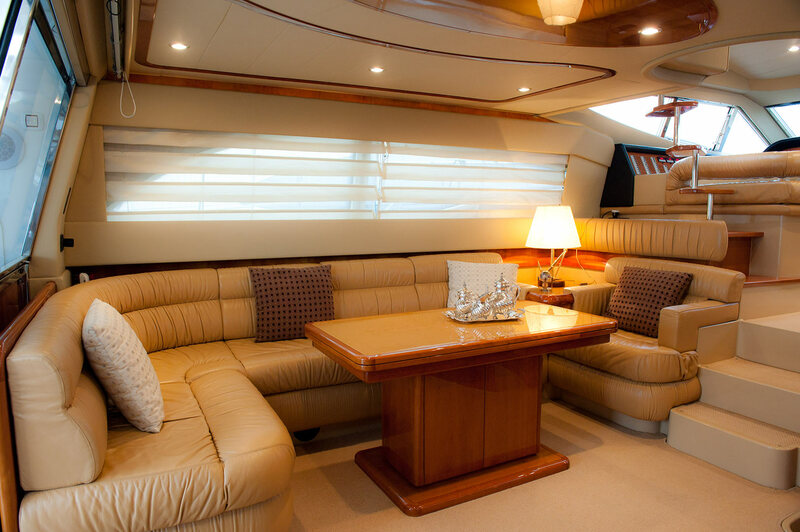 The salon offers a large sofa, formal dining table, occasional chairs, opposing smaller sofa, bar area and full entertainment systems, all surrounding by elongated side windows for optimum natural light. Forward is the helm main station and a further seating area. 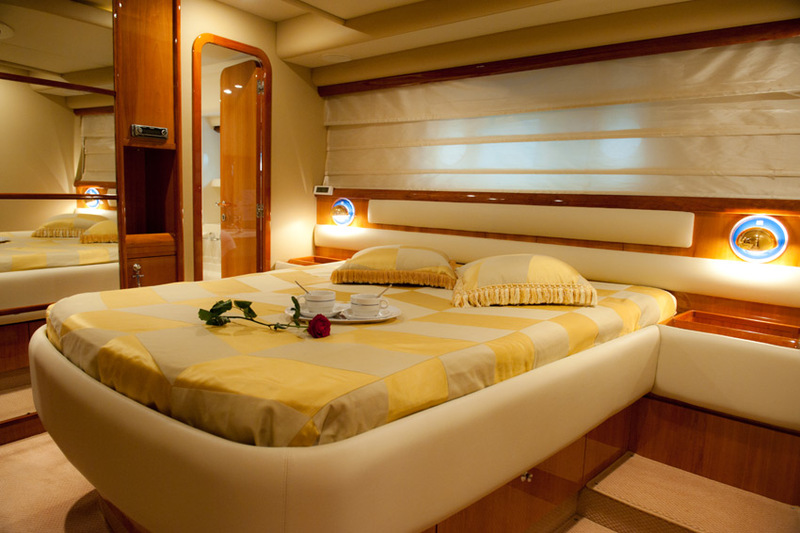 Guest accommodation is below decks in 1 master cabin, 1 VIP cabin and 1 twin cabin, all with private en-suite facilities. 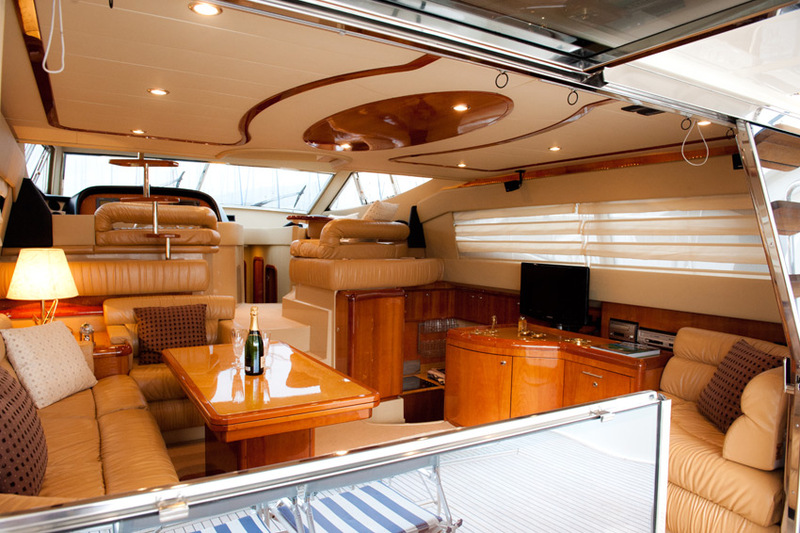 The Ferretti charter yacht ESPERANCE III is a flybridge design and boasts 2 decks for guests to enjoy. 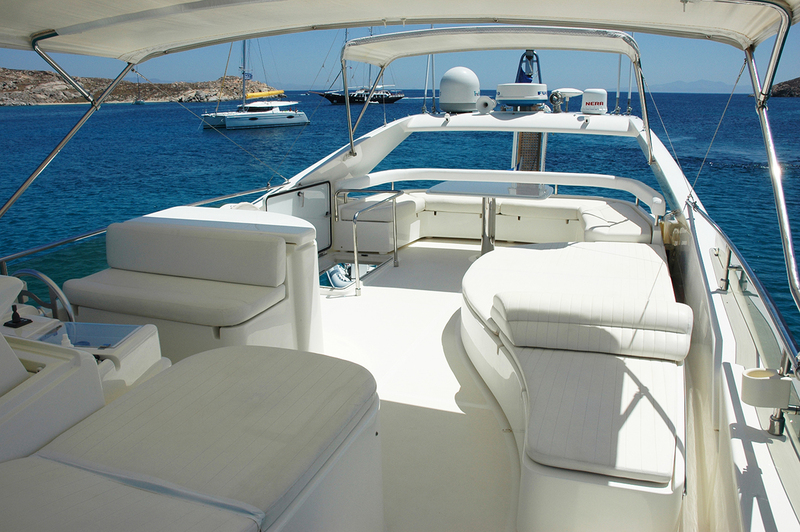 The main salon leads out onto a spacious aft deck, with partial shade, an alfresco dining option and seating. For the active in the group, the extended swim platform is ideal to access the water toys on offer, or simply enjoy a leisurely swim. The main deck wraps around the yacht, leading to a generous foredeck. 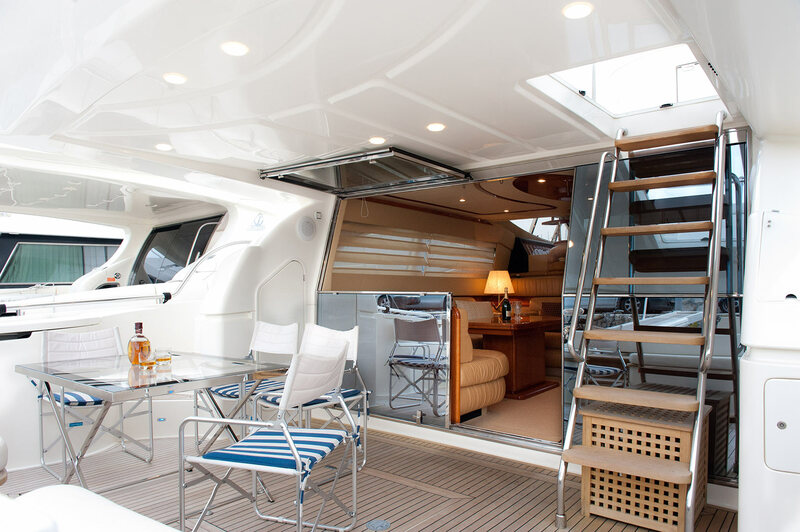 Above, the flybridge makes entertaining easy, with an alfresco dining option, seating, fridge and BBQ station. 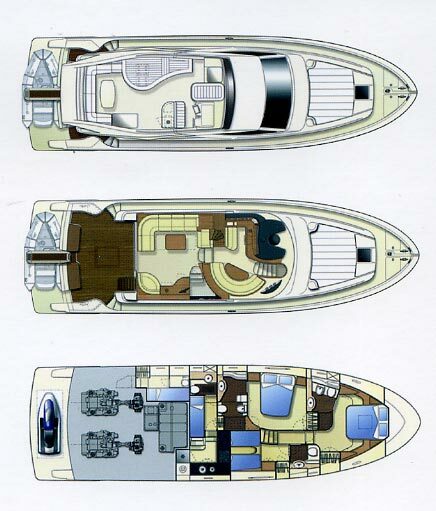 Yacht ESPERANCE III averages speeds of 28 knots, powered by 2 MAN 1050hp engines. 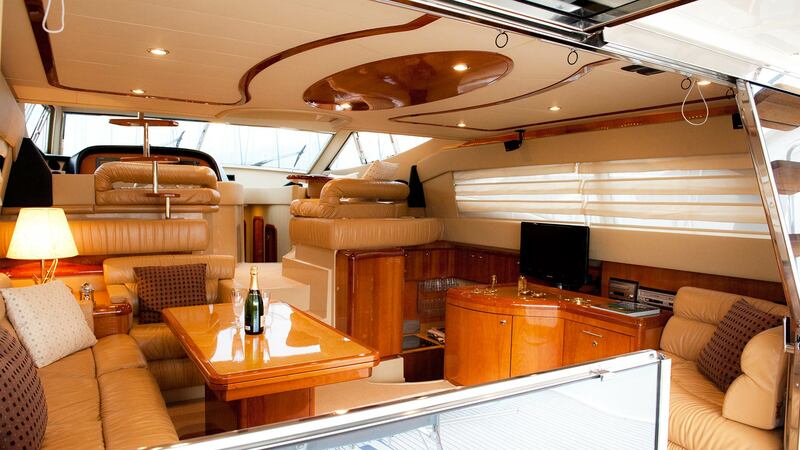 Crewed charter yacht ESPERANCE III offers accommodation for up to 6 guests. 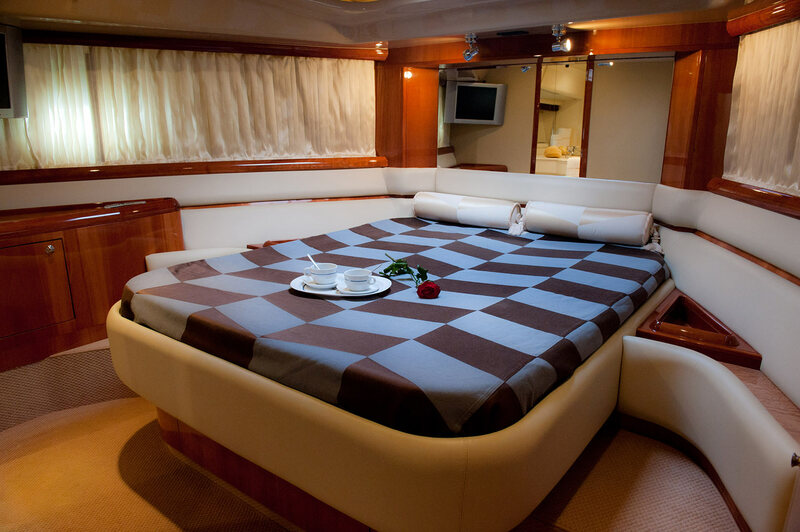 The master stateroom is forward and full beam of the yacht, with a center lined double bed and TV entertainment. 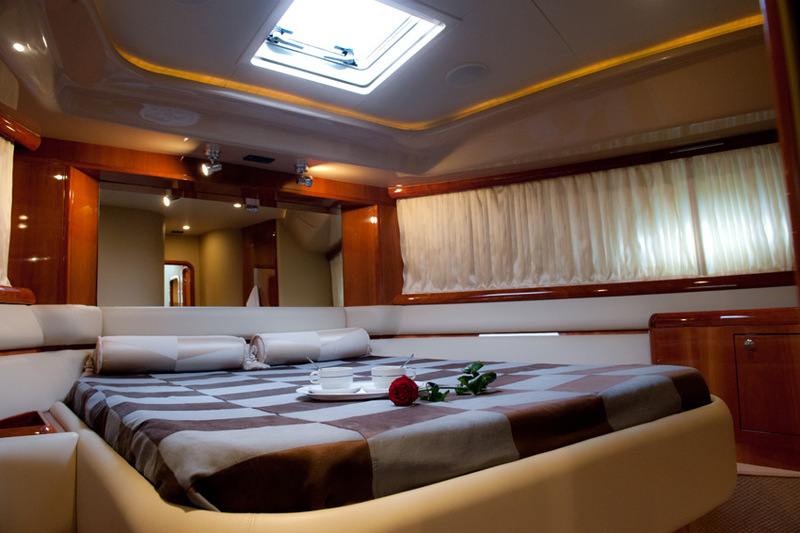 The VIP cabin is on the port side, with a double bed and TV entertainment. 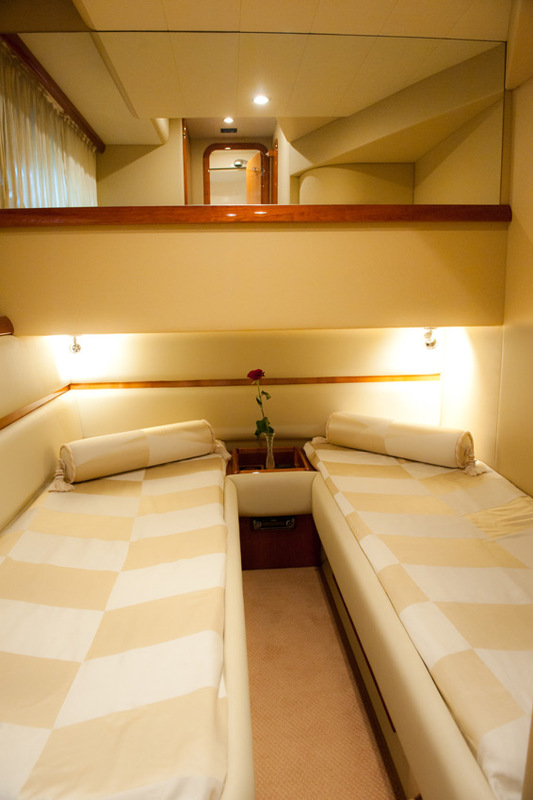 A guest cabin is on the starboard side, with 2 side by side single beds. 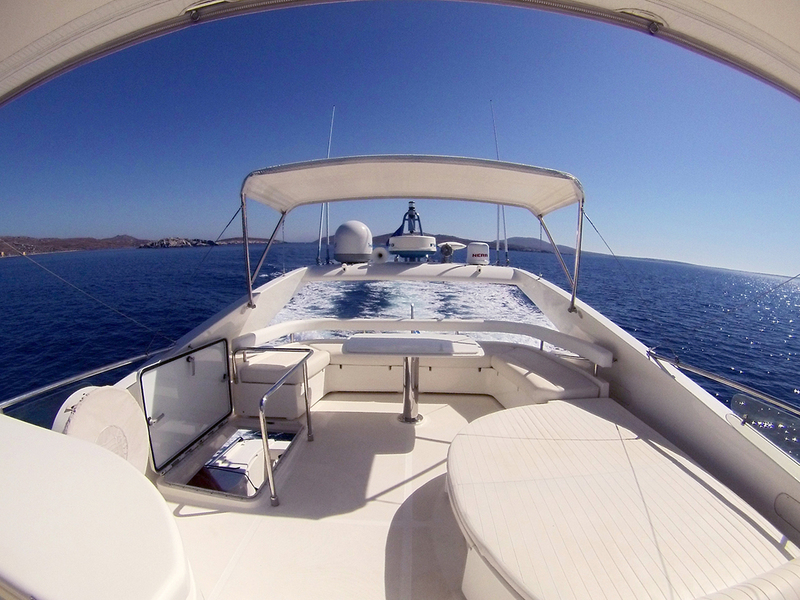 All 3 cabins are fully air conditioned and feature private en-suite facilities. 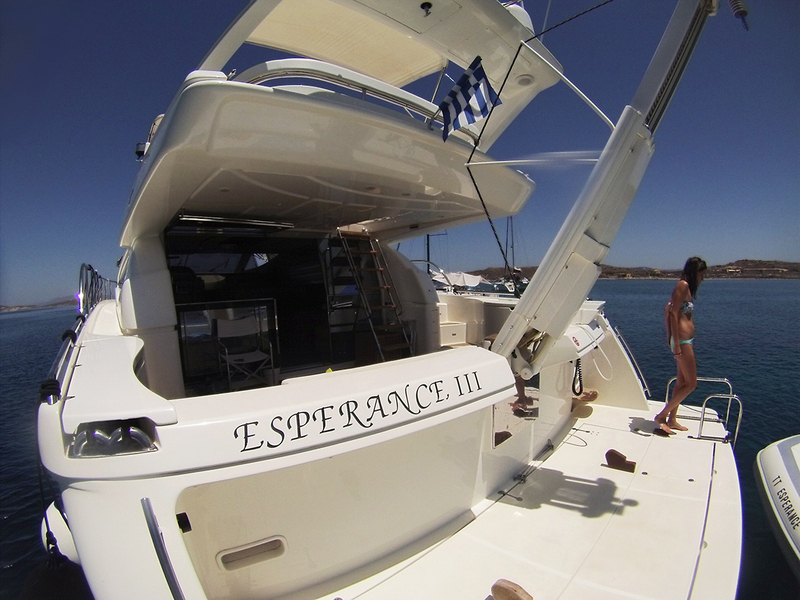 The ESPERANCE III motor yacht has the following Tenders & Toys: One tender 3,6m wtih 40hp outboard, jet ski, water ski, knee board, fishing and snorkeling equipment. 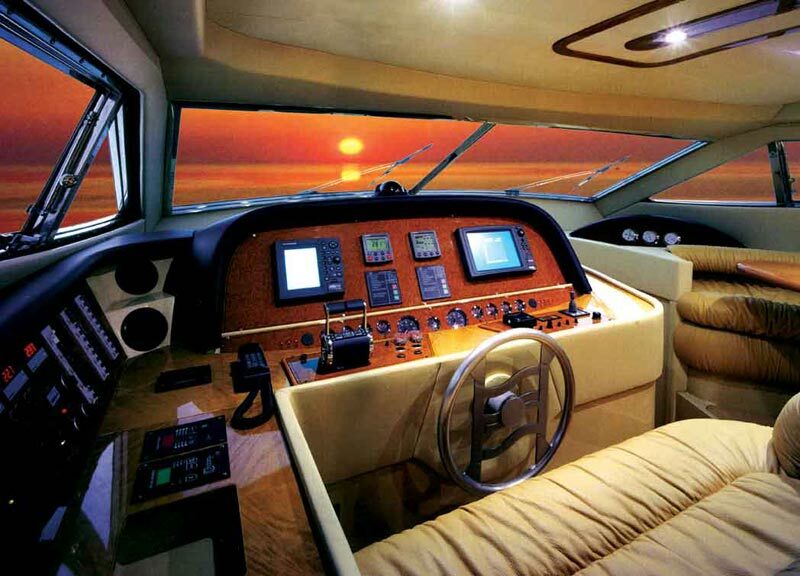 Communications Plotter Navigator, GPS, Radar, Radio VHF. 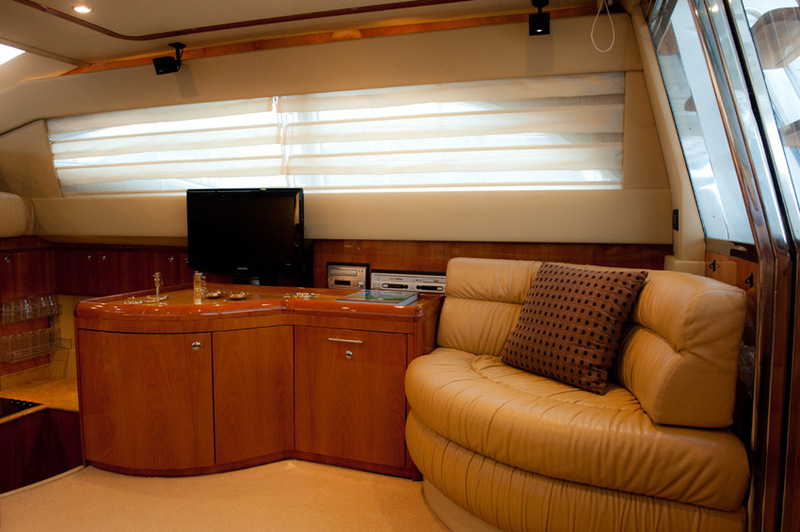 Audio Visual Equipment and Deck Facilities TV, DVD in salon.